Blast into the furthest reaches of space and come out with the most cash possible! 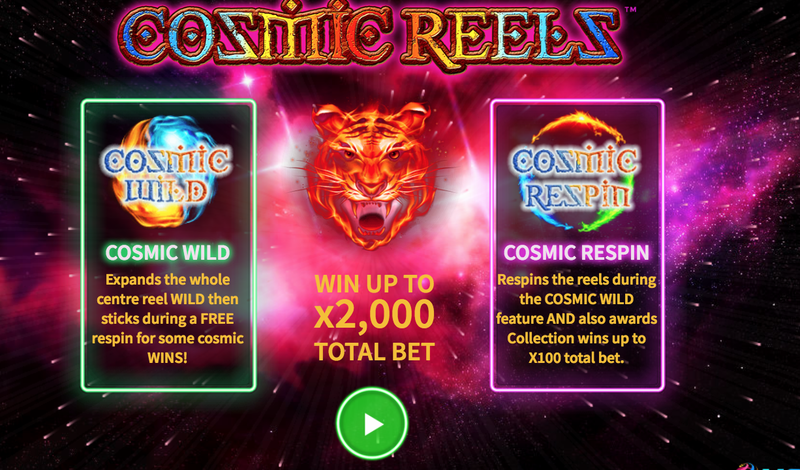 Welcome to Cosmic Reels, a 5x3 online slot brought to you from developer MetaGu, a developer who are no stranger to slots that exist beyond our own galaxy. 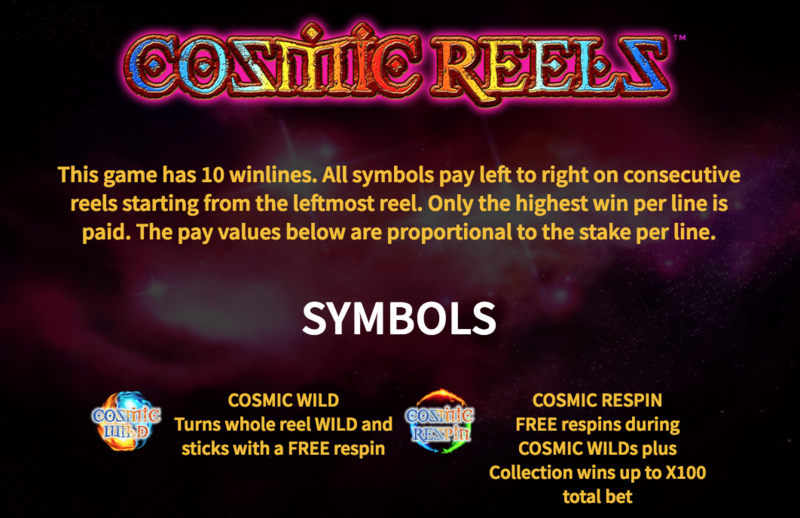 Releasing late into 2018, Cosmic Reels was met with a lot of praise from players who admired the fast-acting gameplay and attention to detail that only a developer the likes of MetaGU could promise and fulfil on. Wilds: Wild symbols are available in space apparently. Wilds are unique in that they will give you the chance of substituting symbols in one fell swoop. You’ll get a nice bump to your scores for simply matching the symbols, but the substituting is where this symbol excels. Respins: Respins will occur seemingly at random. Respins will give you a second chance at coming out on top. This will definitely help those wanting to make sure that every spin counts. Why MetaGu are considered the best comes down to just how successful they’ve been over the past couple of years. After stating their intentions within the online gaming spectrum, many fans wondered what they might come out with since they have their hands in a lot of different markets. Many were pleasantly surprised to learn that their games were just as fun as they were rewarding.